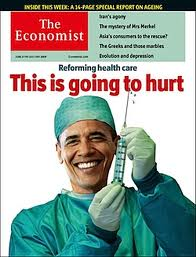 According to a PEW Research Center poll, a majority of Americans still have a negative view of Obamacare. Five years after the law where Nancy Pelosi stated, we needed to be passed to find out what was in it,” 54% of Americans disapprove of Obamacare. Hot Air opines, “One interesting finding of the poll is how little opinions have changed since Pew began surveying the topic in early 2012. It appears positions on both sides of the aisle have fluctuated a bit over time as big events such as the disastrous roll-out or the Supreme Court ruling become news, but things gradually return to the same basic standoff.” However, it marks yet another failure and a broken promise to Republican voters who voted in GOP majorities to the House and US Senate as they claimed they would abolish Obamacare. Guess what, they lied, just like Obama did. Republican politicians did nothing to stop Obamacare. And the establishment Republicans wonder why Donald Trump looks like he might be the Republican party presidential nominee in 2016? RACE RELATIONS WORSE UNDER OBAMA … THE GREAT DIVIDER. Carson cited Obama’s criticism of the police in the Henry Louis Gates incident and his remarks that his son would look like Trayvon Martin and accused the president and other progressives of trying to “manipulate, particularly minority communities to make them feel that they are victims.” And that the president “absolutely” plays the race card, but he said the president was attempting not to do so in the aftermath of the grand jury decision regarding Officer Darren Wilson. 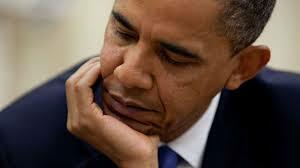 What is sad is that many people thought that the election of Barack Obama would make the situation between the races better. In 2008, exit polls showed that voters were optimistic as they elected Obama … 47% said they thought race relations would get better, 34% said they would stay about the same and only 15% expected them to deteriorate. Personally, I thought they were out of their minds. 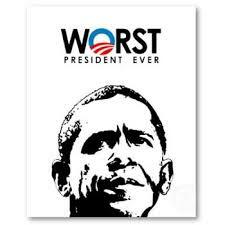 Especially because Barack Obama had been a “community organizer” and a member of a black liberation theology church in Chicago with Reverend Jeremiah Wright as his pastor. That was then, this is now. In NBC 2014 exit polls, only 20% think things have gotten better, while 38% believe it has gotten worse. Amid episodes like the unrest over the summer in Ferguson, Missouri, how have American voters’ perceptions of race relations changed since Barack Obama was elected the nation’s first black president? The 2014 NBC News national exit poll found that voters are twice as likely to say that things have gotten worse than say they have improved. In the historic 2008 election, the exit poll asked voters how they thought race relations in this country would fare in the next few years. On balance, voters were optimistic as they elected Obama – 47% said they thought race relations would get better. Thirty-four percent thought they would stay about the same. Just 15% expected them to deteriorate. Our latest poll suggests that far from healing America’s racial wounds, the first black president has reopened them. 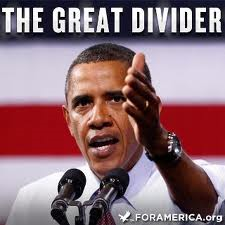 Obama the uniter is actually the great divider. By an almost 3-1 margin, Americans say race relations have worsened under the man who was supposed to usher in a golden era of “post-racial” relations. Six years after electing the nation’s first black president, a stunning 46% in the new IBD/TIPP Poll draw that conclusion compared to 18% who don’t. Nearly one in four believe race relations have gotten “much worse” under President Obama, while 35% say they’ve stayed the same. 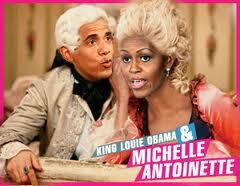 Millennial Voters Abandon Barack Obama and his lies of “Hope and Change”. My how times have changed, especially when Millennial finally realized they were duped by Barack Obama who has done little for hope and change, transparency or to change anything in Washington, DC except make things worse. Barack Obama and Democrats have lost the “Millennial Vote”. A shocking Harvard University poll of 2,029 18- to 29-year-olds showed that they will be“definitely be voting,” 51% want the Republicans in charge, while 47% are favoring Democratic control. According to the poll, Democrats are even losing ground with Hispanics as well. How bad is it for Democrats when Millennials abandon Democratic sinking ship. And you wonder why Democrat candidates are avoiding the “toxic” president and can not even find it in themselves to even say they have voted for him, when they obviously had. If all of this polling does turn out to be correct, the Democrats could be experiencing a colossal disaster election eve. Harvard University on Wednesday provided new proof that the Democrats are going to be broadsided in Tuesday’s national elections as millennial voters, in a shocking shift, now prefer a Republican-controlled Congress and give President Obama his second lowest grade ever. A new and massive poll of 2,029 18- to 29-year-olds from Harvard’s Institute of Politics just released found that of those who say they will “definitely be voting,” 51 percent want the GOP in charge, 47 percent favoring Democratic control. Still, it is a huge shift from the last IOP midterm poll. In 2010, younger voters kept to their historic trend with 55 percent favoring Democrats, 43 percent Republicans. That is an eight-point change, very good news for the Republicans who had feared that the Obama generation would show up at the polls and in knee-jerk fashion simply pull the Democratic levers. The shift away from Democrats is likely fed by the millennial dissatisfaction with Obama. The poll from IOP, located at Harvard’s John F. Kennedy School of Government in Cambridge, Mass., found their approval of Obama near the low-water mark, at just 43 percent. It dipped below, to 41 percent, just once. Harvard University Institute of Politics: More damning poll numbers for Democrats from one of their core constituencies.